We need minimum 95 mm diameter hole radial drilling machine. We prefer imported and universal head machines. We have requirement of used radial drill machines having 100 mm drilling capacity. Quantity - 2 unit. We require HMT RM65 radial drilling machine. Machine should be in good condition. 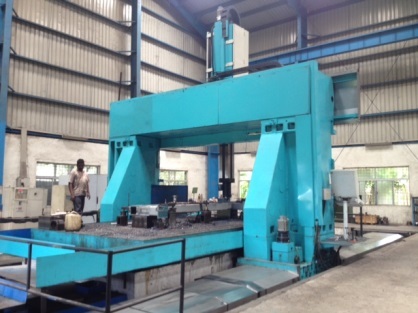 We require new or used medium duty 6 inches lathe and drilling machine, manual bending machine. We are pleased to offer radial drilling machine. Make - Csepel Hungary. Bore capacity 100 mm. Price - Rs. 15 Lacs. For sale imported radial drilling machine. Make - Cincinnati. Year - 1995. It has 80 mm drill capacity. Arm travel size 5 feet. 15 HP motor quick change chuck 5/6 reducing socket. Price Rs. 6.5 Lacs. We require radial drilling machine having following specs. 1) Capacity- 2 inch 2) Traverse motion of spindle- 1500+ mm. We want to purchase used 6 or 7 feet lathe machine and drilling machine. 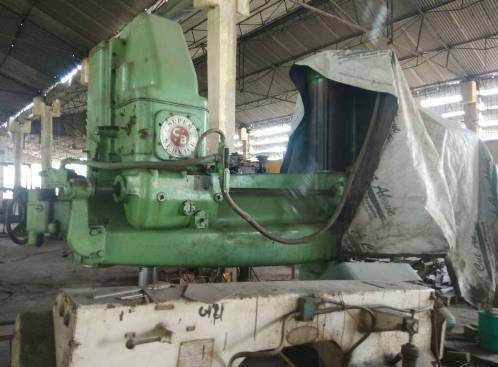 We need used lathe and radial drilling machine. Lathe Specification - 3000 to 4000 mm Length, 400 mm Center and 100 mm Bore. We require radial drilling machine having spindle dia 80 mm and above. Make - HMT / any imported make machinery.